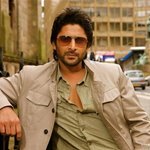 Arshad Warsi is an Indian actor who debuted in 1996 with the film Tere Mere Sapne which was a success but he is best known for his role as "Circuit" in the comedy films Munnabhai M.B.B.S. 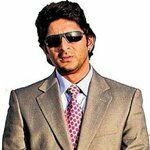 (2003) and Lage Raho Munnabhai (2006) and his role as Babban in Ishqiya (2010) which won him acclaim. 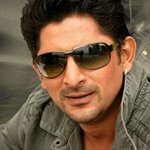 He got his first offer to act in Amitabh Bachchan's production company, ABCL's first production Tere Mere Sapne in 1996. 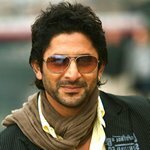 After its success, he acted in several other films over the next six years, but most of which failed to do well at the box office, till 2003, when he starred in the comedy film Munnabhai MBBS, which turned to be a huge box office success and gained him much critical acclaim and a nomination at the Filmfare Awards for Best Actor in a Supporting role. 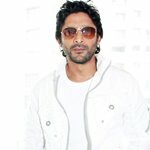 His first film as a producer, Hum Tum Aur Ghost was released in 2010. Warsi is starring opposite Sanjay Dutt in Munnabhai Chale Amerika, the third sequel to the much acclaimed Munnabhai MBBS (2003).